I best come clean straight away. 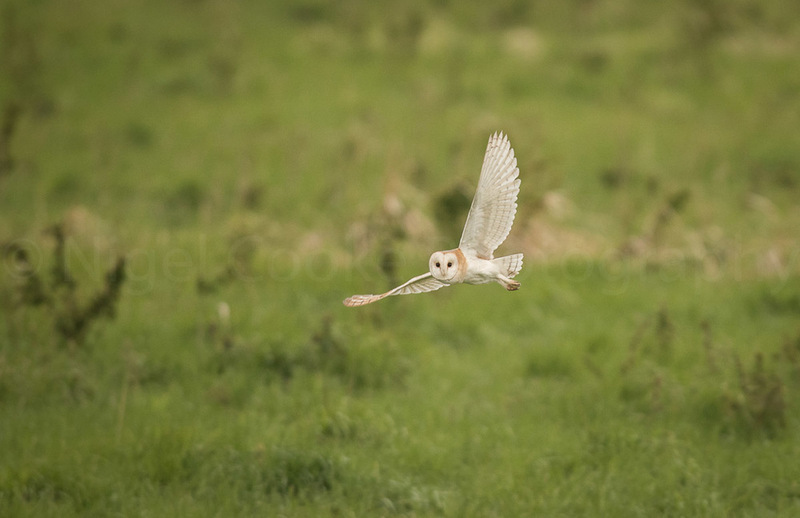 The Barn Owl is fast becoming my favourite bird. Sorry Mr Kingfisher, your time at the top of my tree is perhaps coming to an end. There's just something very majestic about watching them hunting silently over the fields and thankfully, given their well documented troubles, a sight I see more and more in these parts. 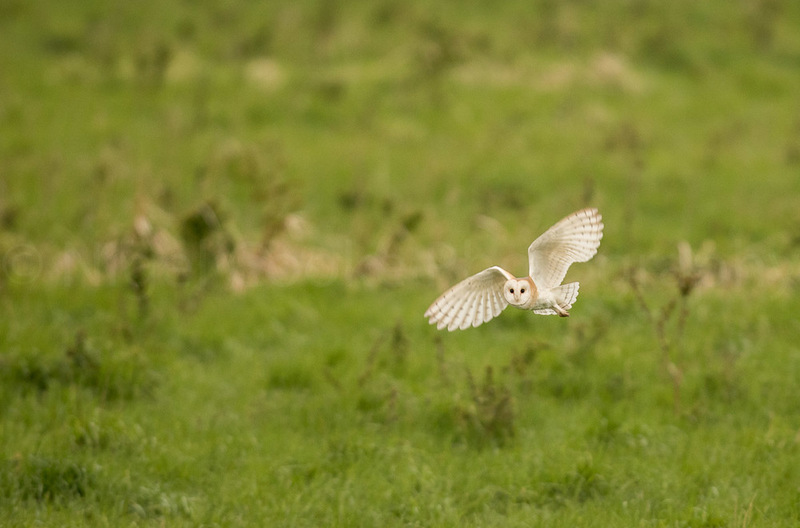 When I spot one, quite often at first at a distance, rather than attempting to get up close on my own steam, I let the Barn Owl come to me, bag hide over and hunkering down. I can feel my heart beat rise in anticipation. This doesn't always work of course (it's not as if I've dressed myself as a large tasty vole and laid out prone ready to be eaten) however, with a little patience, it can reward you with some close encounters. The ease and gracefulness at which it moves low over the fields twisting and turning at will. Then all of a sudden dropping down into the grass to hopefully pickup a meal. Of course no matter how well you think you are hidden the Barn Owl pretty much always knows you are there, but then again this allows for those piercing eyes to meet yours. A moment which, despite happening on increasing regularity, still has the hairs standing on the back of my neck. Click on the image below to scroll through a couple more from the morning. The light was pretty shocking but that, in my opinion, should NEVER stop you from photographing these iconic birds. Actually poor light should never stop you photographing wildlife full stop. I'd far rather have images of wildlife in poor light than no image at all. All images shot on the Canon 7D MKI II with the Canon 400mm f/2.8 lens. All images around 1/000 second, f/3.2 and ISO between 640 and 1000. With the crop sensor on the 7D MK II the 400mm lens becomes a 640mm equivalent - one of the main reasons I decided to add the 7D MK II to my kit. While I try and not use the extender too often it also means the 2x can get me at around 1200mm, albeit with the lose of 2 stops (f/5.6). Honey ... I'm home !! Love the shadows the Barn Owl is making on the Barn. Image captured on Burwell Fen. An absolutely beautiful morning down at Burwell Fen at the weekend. Quite quiet on the wildlife front but even on mornings like that it is still fantastic to be out amongst the goings on. On the way back to the car the Greylag Geese were starting to make their way to their daytime feeding grounds. Trying to frame the birds between the best colour in the sky and the tops of the trees. I think it works quiet well. Oh, on a different note my very first eBook has been published and is available for sale here.